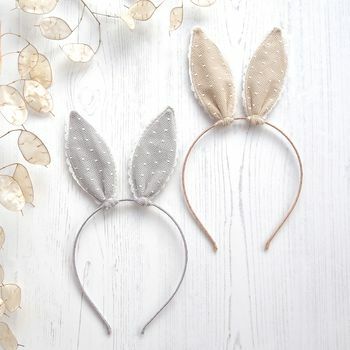 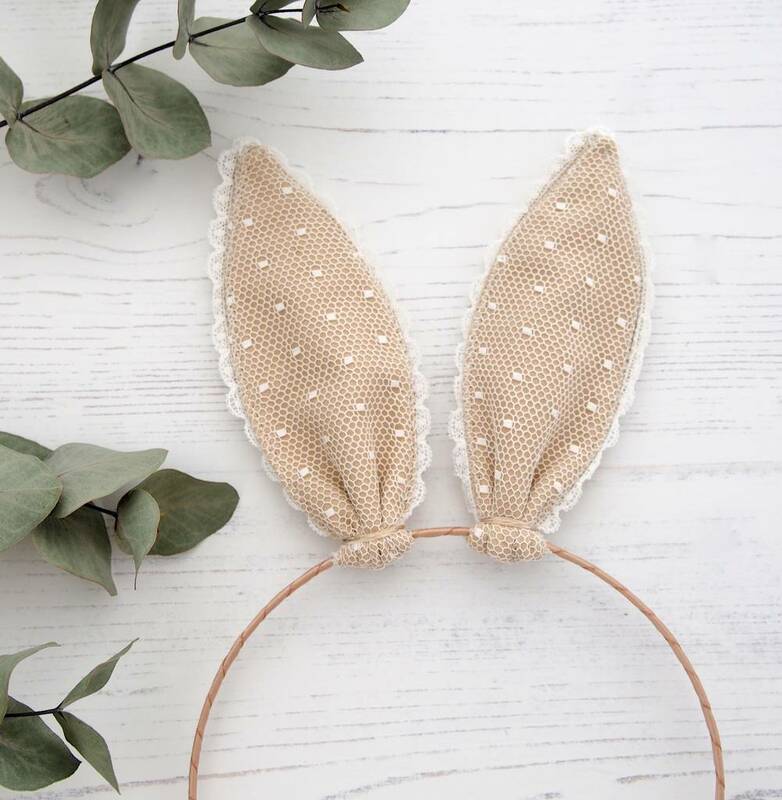 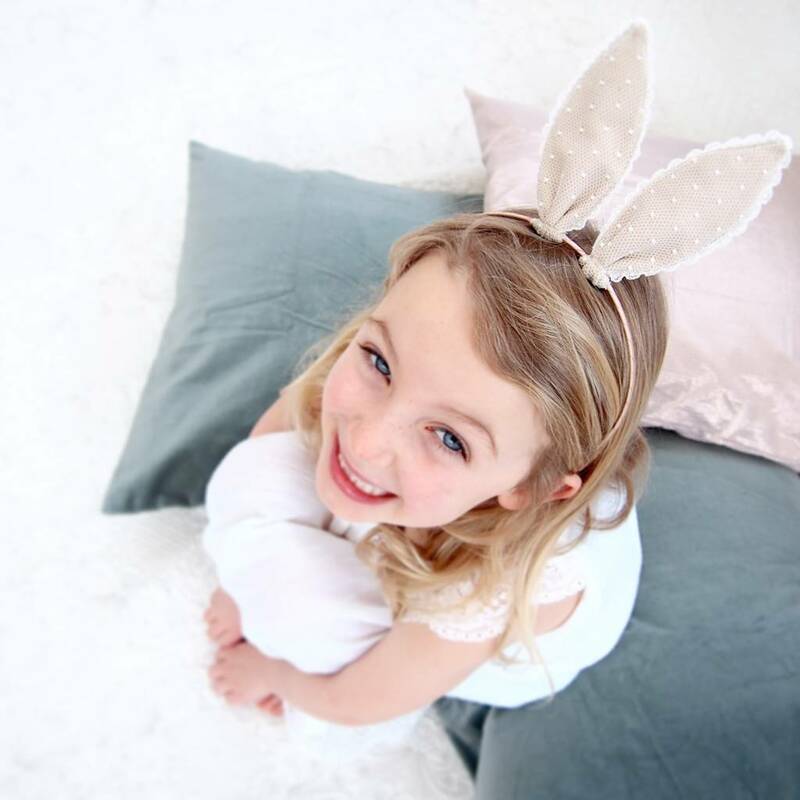 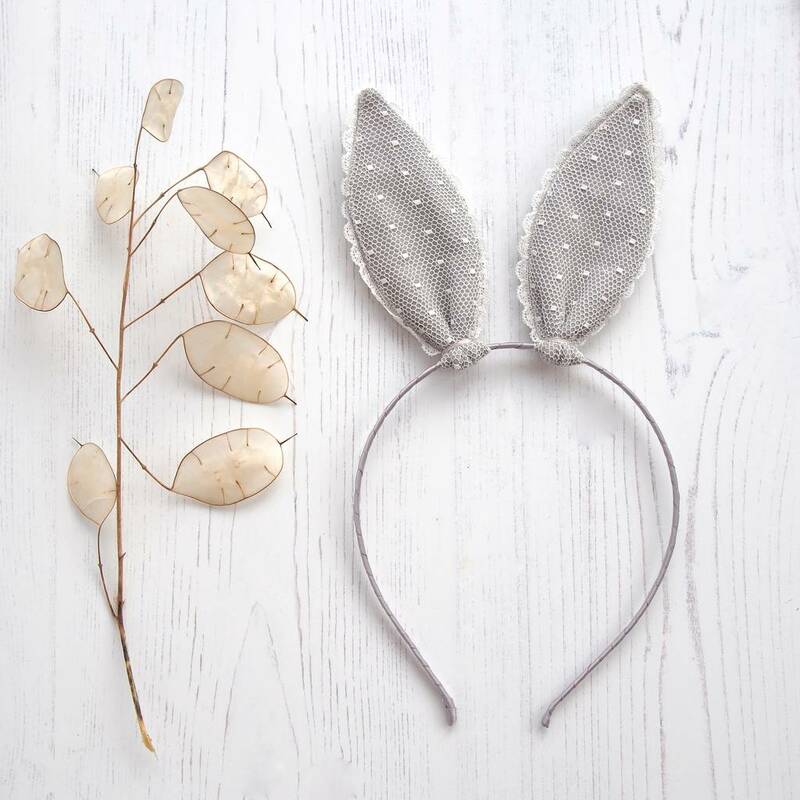 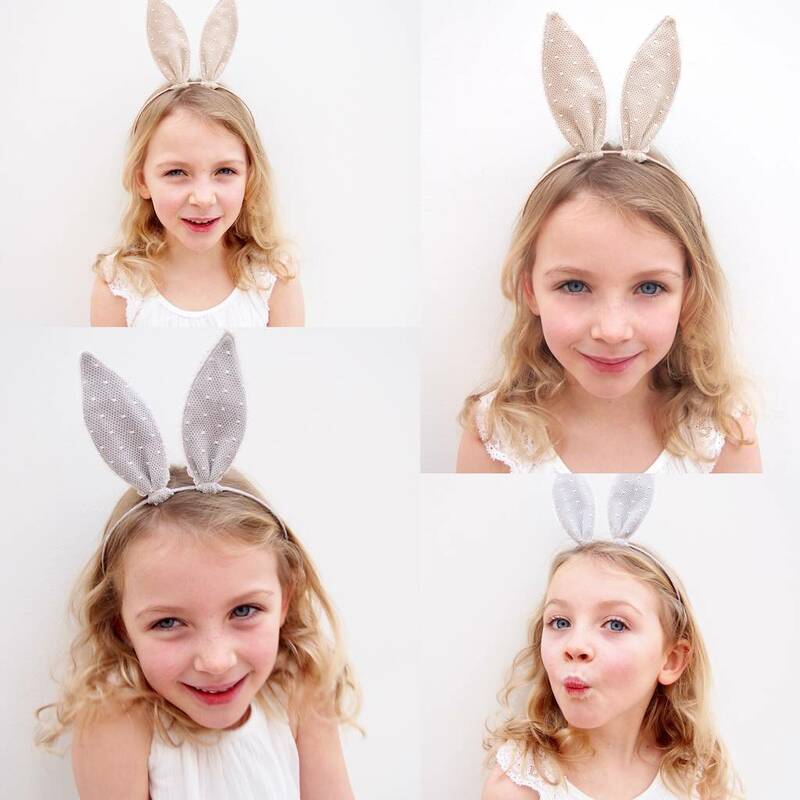 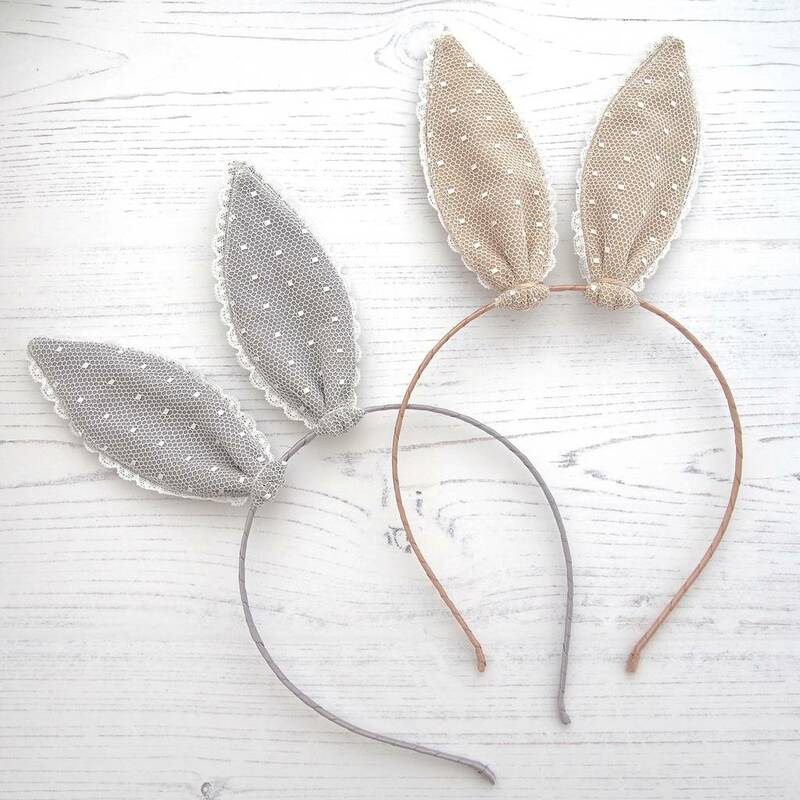 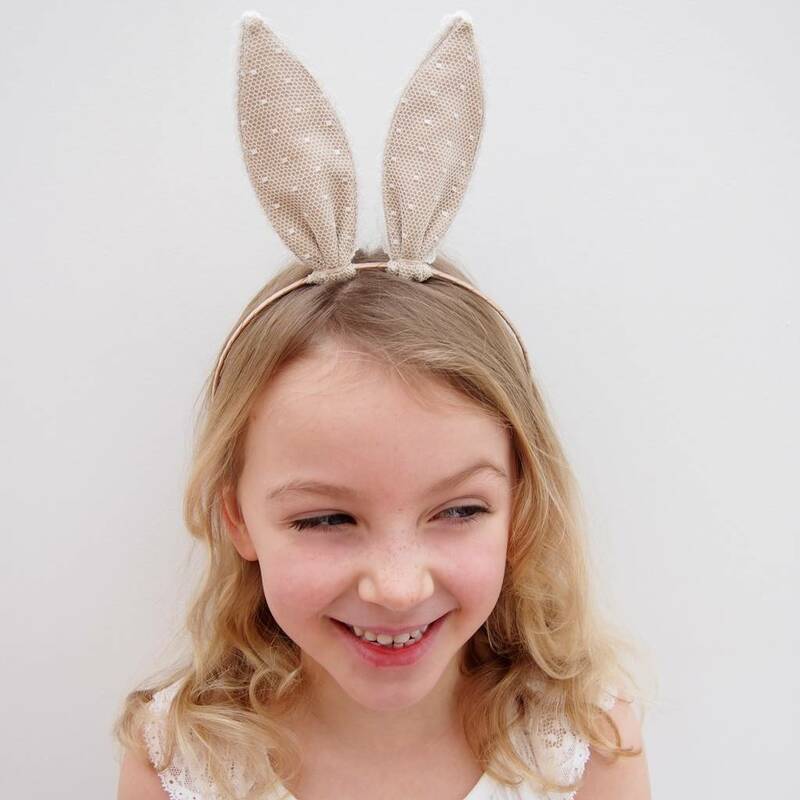 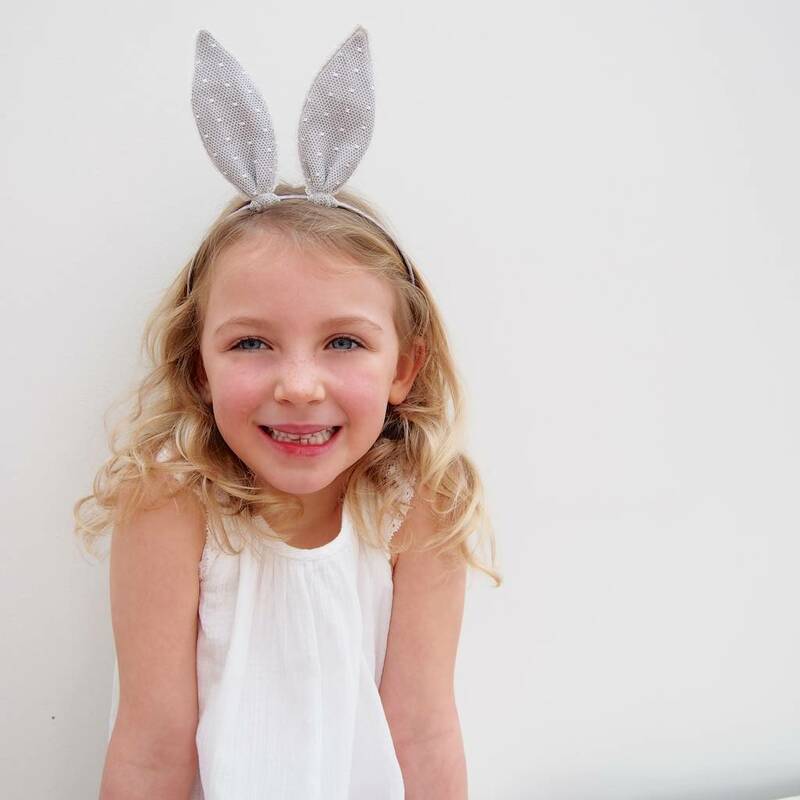 Little Girls will love this pretty bunny hairband in gorgeous natural colourways, the cutest dress up for Easter or a whimsical option for weddings and flower girls! 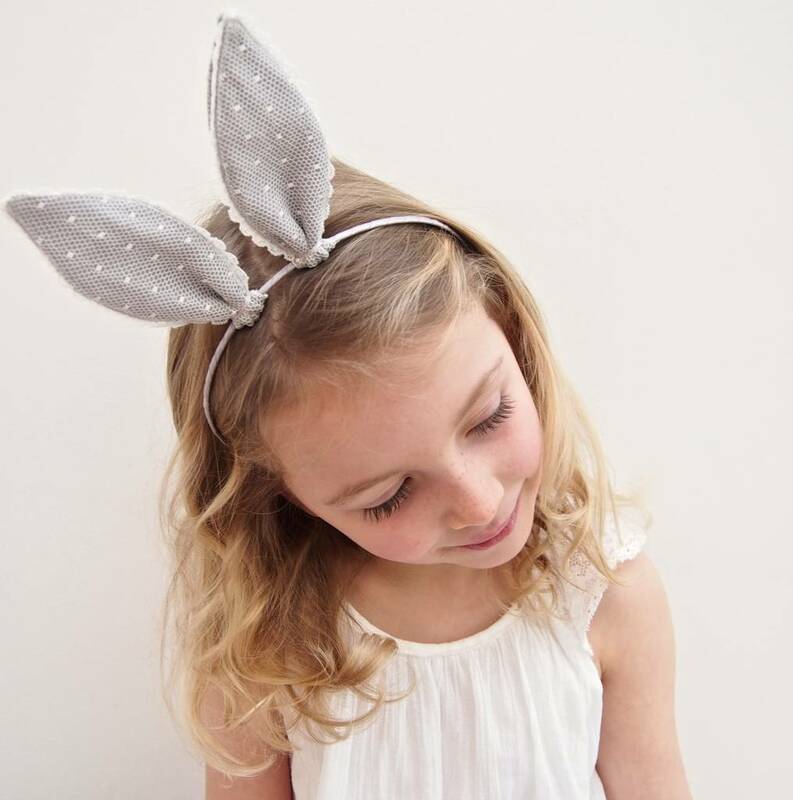 Comes in a LovebySusie organza bag and beautifully wrapped in pretty tissue. 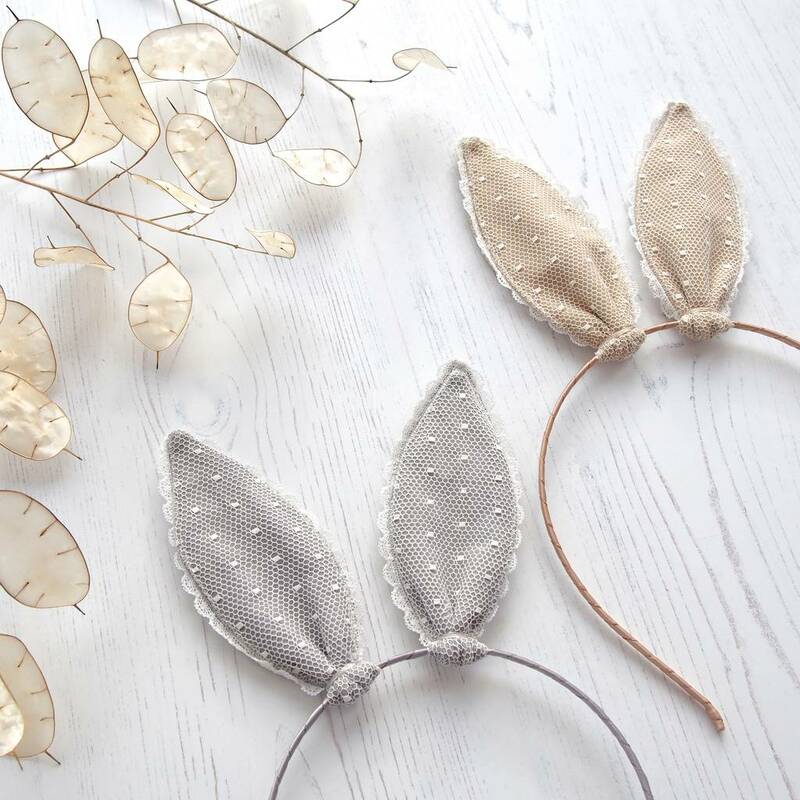 Material: Lace 95% cotton 5% nylon and 100% Cotton Point De Espirit Tulle and silk organza with internal soft plush elastic.